The Learning Managers Forum (LMF) was opened to colleagues responsible for managing staff development, training and learning functions in the United Nations agencies and affiliated international organizations. It was a key platform for the exchange, discovery, discussion, collaboration, coordination and planning of learning and training related issues within the UN System. In light of increasing internal reform efforts within the UN System and given the role that Chiefs of learning, training and staff development have to play in these efforts, the LMF Planning Committee agreed on the relevance of the themes. Managing the learning function in an environment of decreasing resources. 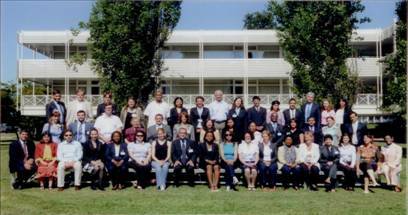 UNICRI played an important role by co-organizing the LMF 2009 along with UNSSC, UNITAR, UNFPA, and UNAIDS at the UN Campus in Turin, Italy.